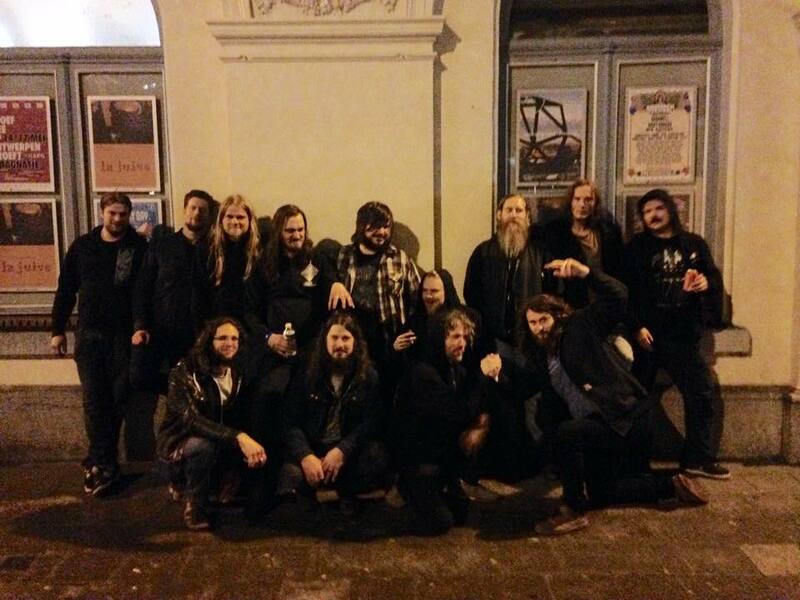 Relapse Records, At A Loss Recordings, Liz & Dave / Earsplit PR, Frank / Petting Zoo Propaganda, Walter / Everyone at Roadburn, Eldar / Everyone at Doom Over Leipzig, Desertfest London / Camden Underworld, Marco & Mekk / Avocado Booking, Dan / The Agency Group, Jaki Gabor, Mike Holley, Jeremiah Lambert, Corinne Reid, Mark Randall Byland, MD Wallace, Floor, Zatokrev, SubRosa, Cult Of Luna, Junius, Julia Sadicova, Krzysiek Zawistowski, Maciek Sekowski, Paige Stevens, Heidi Goldman, Rusty Steele, Jordan / Big Sky Welding Service, Tyrant Tone, Blackout Effectors, Luca Devinu / Blessend, Platt’s Printing, Kayla Bennett, Maureen Fitzgerald, Shannon Burns. Additionally, 2015 has been an incredible year for heavy music all around, so many great bands pushing music forward in awesome ways this year. Minsk would also like to thank the following publications for seeing fit to include “The Crash & The Draw” in their year end wrap up’s. To be mentioned in these lists is truly an honor. From all of us in the Minsk tribe, here’s to a great year and great things to come in 2016. First up for us is a mid-winter celebration that will include our first hometown shows in far too long. If you can join us, we’ll see you then. If not, we hope to be announcing more tour plans for 2016 in the coming weeks and months. Until then, Cheers! 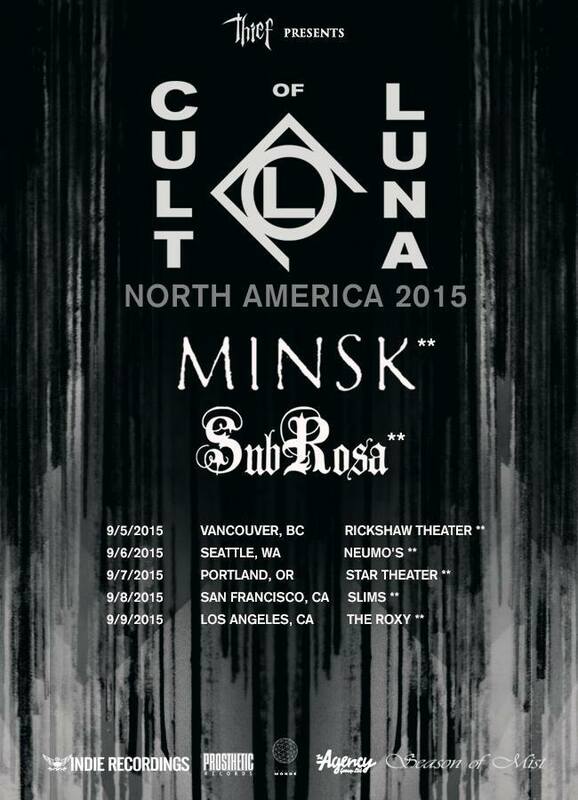 Minsk will be heading west to meet up with Cult of Luna and SubRosa for shows on the west coast September 5-9. Several more Minsk shows before and after these spanning September 1-12 have been announced. A couple more dates still to be announced in the coming days. 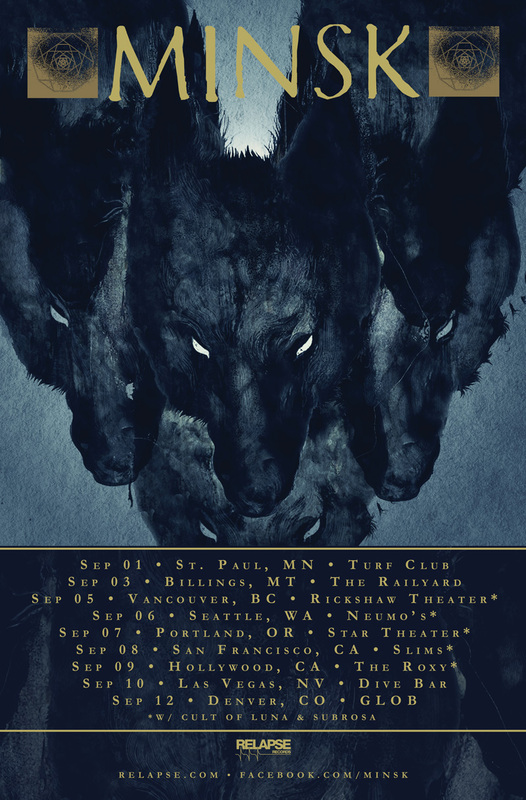 We are very happy to announce these West Coast shows with Cult Of Luna and SubRosa! Vancouver BC (9/5), Seattle WA (9/6), Portland OR (9/7), San Francisco CA (9/8), Los Angeles CA (9/9). More western US Minsk dates surrounding this tour will be announced soon. Europe, you were magical in ways that surpassed both memory and anticipation in equal measures. You were gracious in ways that humbled us, and you challenged us in ways that were needed. Many more words and memories of this trip need to be shared soon, but for now, we leave you with simply a deep sense of gratitude once again. Thank you.